Note: As part of our regular review of degree programmes, SIT and UoL are extending the collaboration to recruit two further cohorts of students to the BA (Hons) in Criminology and Security than was originally planned. These additional cohorts will be recruited in AY2018 and AY2019 with no further students being recruited from AY2020 onward. SIT and UoL will ensure that the quality of teaching on the programme remains of a high standard until the programme ends in 2022. 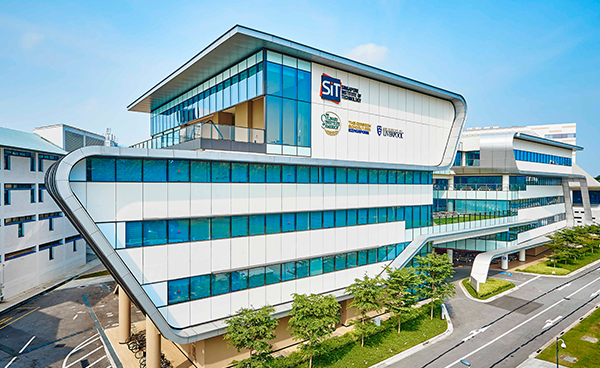 The BA (Hons) in Criminology and Security degree offered by UoL will continue to be a fully-recognised degree in Singapore and beyond. The full-time programme will follow a three year degree structure. Year One will follow the common first year model studied by all students in the Department of Sociology, Social Policy and Criminology. Year Two will provide students with a more focused specialism in criminological theory and research. Year Three will provide a greater element of choice to enable students to specialise in a range of criminological subjects. The programme will include several optional modules that will have been adapted or developed to the South East Asian context. Such modules will be evaluated and validated in the same way as every University of Liverpool degree programme, ensuring the quality of the content, pedagogy, qualification and consequently the student experience will be identical to degrees delivered at the home campus. Shortlisted applicants will be required to sit for a written test held on one of these dates as scheduled by the administrator. In addition to the compulsory and optional modules, all students will need to undertake a four-week summer programme in the UK, based at the University of Liverpool campus. This will include a programme of lectures and seminars on key UK and European criminal justice and security initiatives, as well as visits to key criminal justice institutions and sites in the UK. Students will undertake this between Years Two and Three of the degree programme, and will have the opportunity during the visit to conduct independent research in the UK under supervision to assist them with final-year studies. To give students an appreciation of the relevance of social theory in producing questions that address the complex way in which the social world is shaped and reshaped by people. To introduce students to classic and contemporary theoretical debates on social changes and its manifestation - and implications - in social context. To give students an appreciation of the ways in which theories are operationalized in empirical research and studies in social science. Familiarity with influential social theories and their core concepts. An ability to evaluate the contribution of specific theorists and theories to the discipline. A capacity to identify the relevance of social theory for the analysis of the social:theories and themes. The module aims to introduce students to a range of methods of enquire commonly used within the discipline of sociology and social policy and to key approaches to the gathering of knowledge/data. Teaching and learning methods will give students an opportunity to study and to practice key skills necessary to make effective use of available information resources, and to communicate ideas using a range of methods, including internet newsgroups, e-mail and bulletin boards. Students will be asked to put together both a portfolio of work and a literature review which will relate to one substantive subject area, which can be chosen from a given list and which reflects area covered in Year 2 and 3 teaching. This will allow the students to build up a body of work which they can refer to and build upon throughout their degree studies. Familiarity with a selection of classic and contemporary contributions in theory and methods, and the ability to situate there contributions within major intellectual traditions. An appreciation of the different methods of social enquiry commonly applied within the disciplines of sociology, including qualitative and quantitative data sources and the limits and value of each. To provide students with an appreciation of the main changes that have taken place in social life in Britain and South East Asia since the mid-twentieth century, with a particular focus on politics, the economy, family life, and education. To provide students with an understanding of how sociologists have studied, described and explained these changes. To describe some of the main social changes that have taken place internationally over the past fifty years, drawing upon evidence from sociological research. To discuss the links between changes in individual behaviour and experiences and changes in policy and legislation. To apply and evaluate sociological theories and concepts in relation to a variety of substantive issues focused around social change. To provide you with an introduction to sociological criminology. To introduce theoretical frameworks through which the nature, extent and causes of crime have been conceptualised. To consider how crime is constructed, perceived and responded to within society. To explore the inter-relationships between crime, social problems and their context. Explain how crime is constructed as a social problem. Discuss some of the main ways in which sociologists and academic criminologists have sought to explain ‘crime’. Distinguish the approaches taken by sociological criminologists and compare them to other approaches (such as common-sense). Comment on the relationship between theories of crime and policy-responses (we discuss criminal justice and crime control in detail next semester in Controlling Crime). Situate discussions of crime and criminalisation within an understanding of social divisions in contemporary society. To provide students with an appreciation of the main changes that have taken place internationally since 1945, with a particular emphasis on 'race' and ethnicity, gender and social class. To describe and explain some of the main social changes that have taken place internationally since 1945 by drawing upon sociological studies. To discuss the inter-relationship between 'race', ethnicity, class and gender and understand the influence of these on society. To evaluate different sociological concepts and theories and relate these to broader historical, social and political contexts. Familiarity with key institutions of the criminal justice system, their roles and context. An understanding of relevant criminal justice concepts and debates and be able to employ these to reflect critically on institutions of the criminal justice system. To encourage reflection on the strengths and limitations of using quantitative data in the social sciences. Gather, source, and appropriately analyse quantitative data. SOCS241 (Policing, Crime and Society) is a level 2 module that introduces students to the core practical and sociological understandings of modern policing in both a domestic and international context. The module is designed to provide an insight into the concepts of policing and the police, connecting significant past and present policing issues with sociological analysis and changes in criminal justice policy. This module seeks to provide a conceptual, historical, contemporary and global understanding of the ‘police’, one of the key social and legal institutions of the modern State. The police are an integral part of the criminal justice system, but the reach of ‘policing’ can also be evidenced in covert policing practices within the private security sector, and counter-terrorism. To explore the main academic literature sources relevant to policing studies and examine the different functions and strategies of the police and their relationship to social policies. To examine contemporary debates on the role of policing and provide a critical insight into the key cultural practices of the police. Have made a contribution to a non-profit organisation by working as a volunteer for a minimum of 48 hrs. This unit will explore the impacts and effects of risk in contemporary society in the areas of crime, welfare and human security. Identifying and understanding the social and cultural processes which shape the construction of security risks. Comprehending the relationship between the distribution of health risks and traditional forms of social stratification. Comparing theories of risk with ethnographic research into the effects of risk on everyday experience. Understanding policy approaches towards crime and security risks in terms of institutional regulation, legislation and management. To reflect on the role of the researcher in collecting and generating data. To provide a broad overview of the historical, theoretical and comparative foundations of punishment and imprisonment nationally and internationally. To examine the experiences and outcomes of imprisonment for identifiable groups of prisoners including: children and young people; women; black and minoritised people; older people. To introduce a range of key debates and controversies surrounding the questions of punishment, penalty and prisons in ‘modern’ societies and to subject them to social scientific interrogation. An understanding of the trajectory of state policy responses in respect of punishment, penalty and prisons from the early nineteenth century to the present. An ability to critically analyse the competing theoretical rationales for the practices of modern punishment, penalty and imprisonment including: constructions of moral responsibility; deterrence; retribution; rehabilitation; reform; deserts; proportionality; incapacitation. A familiarity with the contemporary politics of imprisonment and comparative penal regimes. A grasp of the impact of imprisonment on prisoners in general and specific groups of prisoners in particular. A capacity to critically assess the legitimacy of prisons together with alternative, penal reductionist and abolitionist perspectives. To provide a critical overview of the historical development of state policy responses to youth crime and to explore criminological and sociological conceptualisations of ‘youth’, ‘crime’, ‘criminalisation’ and ‘justice’. To analyse the competing priorities and underpinning discourses that inform youth justice policy formation. To explore the application of youth justice policy through the interventions of state agencies, and to consider the principal consequences of such interventions for ‘young offenders’, the management of youth crime and the regulation and governance of young people. An understanding of the trajectory of state policy responses to children and young people in conflict with the law from the early nineteenth century to the present and a familiarity with key debates within youth criminology and the sociology of youth justice. An awareness of key criminological and sociological debates and an ability to critically analyse the competing priorities, tensions and paradoxes intrinsic to ‘welfare’, ‘justice’ and ‘retributive’/‘punitive’ approaches to the delivery of youth justice. A critical grasp of the politics of youth crime, youth justice and social control. An appreciation of the temporal and spatial dimensions of youth justice and the significance of comparative transnational analyses. Engage in informed debate and critical appraisal of the various de-radicalisation strategies that have been developed to address terrorist rehabilitation. Present their work in both written and oral presentations. Preparing a dissertation enables students to develop their knowledge of a particular topic and develops their ability to work independently. Ability to work independently. Ability to plan work. Ability to marshal, analyse and present large amounts of material. To assist students to further develop their understanding of the workplace and bridge the gap between their academic studies and future employment. To make links between work-based experiences and theoretical understanding of the role of the host agency in the wider context of service provision, social and economic policies and legislative frameworks that influence their function. To enable students to develop the skills of engagement required for undertaking a specific project and manage their own learning within the host agency. To demonstrate an understanding and knowledge of the host agency. To understand the roles of individuals and the functions of groups within the agency. To comment critically on the agency’s culture, structures and policies. Explore the range of the current service provision within the organisation and analyse connections between social policy and practices. To document the process of undertaking and completing a project of value to the agency. To reflect on and evaluate learning gained from the placement in a concise and informative manner with peers and tutors. To work effectively as part of a team and member of the host agency. To increase awareness of the issues involved in the production of professional reports and the interpersonal skills in communicating and disseminating knowledge to the practitioner community. To highlight the ways in which theory and research can inform investigative practice. To increase awareness of ethical concerns associated with providing material for the courts / police and related law enforcement services. To introduce the student to an understanding of the relationship between crime and community as this has been developed since the late 1970s in western criminology. The critically evaluate some of the main crime prevention policy objectives in which have been introduced over the last two decades. Critically assess the relationship between crime prevention practices, social control and the constitution of social order in the city. Understand how the intensification of globalisation is relevant to criminology. Analyse how criminals have capitalised on new opportunities in the global era. transnational approaches to policing and criminal justice. Understand how perceptions of crime and criminals are related to mass migration and other flows of movement in an increasingly interconnected environment. Explore the current solutions and future predictions proposed by criminologists concerning transnational crime. Gain an understanding of why globalisation is a useful framework for critical criminological scholarship. Gain the ability to discuss multiple examples of transnational crime and highlight sociological/criminological perspectives on them. Gain the ability to deconstruct popular discourses on borders, migration and the movement of objects and ideas in relation to security. Gain an understanding of the relevance of broader socio-economic contexts and political instabilities in facilitating transnational crime. Be able to critically evaluate a range of criminal justice responses to transnational crime. To situate current criminal justice policy pre-occupations with the victim of crime within the context of victimological and sociological theorising. To map the nature and extent of criminal victimisation. To explore the impact of criminal victimisation. To understand the role of victims’ movements in the formulation of criminal justice policy. To develop a critical appreciation of the sub-discipline of victimology, its strengths and weaknesses. To grasp an understanding of the formulation of criminal justice policy within a wider socio-political context. To critically evaluate the efficacy of the concept of the victim and victim-oriented policies within the contemporary cultural context. To have a sound, critical knowledge of the nature and extent of crime and its impact. Understand the primary ways in which crime has developed in 'the information age'. Analyse the complexities of responding to crimes on the internet. Acquire an appreciation for the contested terrain of the internet. Evaluate the sociological relevance of cybercrime. Appreciate the rapid social changes that are ongoing due to the recent development of internet capabilities. Explain the occurrence of various types of cybercrimes such as those which involve financial fraud, identity theft, harassment, hacking, hate speech, etc. Comment on the relationship between the offline and online worlds in relation to criminal and victim identities. Discuss the technological and non-technological responses to cybercrime by States, industry and individuals. Reflect on the complexities of law enforcement initiatives in 'the information age'. Debate the 'securitisation of cyberspace ' in relation to online social movements and the privacy of individuals. Assess the issues surrounding and consequences of 'hacktivism'. Consider 'cyber warfare' and its role in contemporary geopolitical relations. Situate copyright infringements on the internet in regards to intellectual and artistic property. Evaluate the theories of persistence in offending that have been developed from 1850 to today. Evaluate the theories of desistence in offending that have been developed from 1850 to today. Analyse the empirical evidence that has supported theories of persistence and desistence. Critically understand the factors which support desistence. Critically analyse competing theories of persistence/desistence in relation to legislation and government policy. Understand and critically analyse theories on persistence and desistence. Understand and critically analyse empirical evidence on desistence. Present their work in suitable formats, including written and oral presentations.